Ever popular and cheerful, Gabriel quickly was successful in his effort to be faithful in little things. 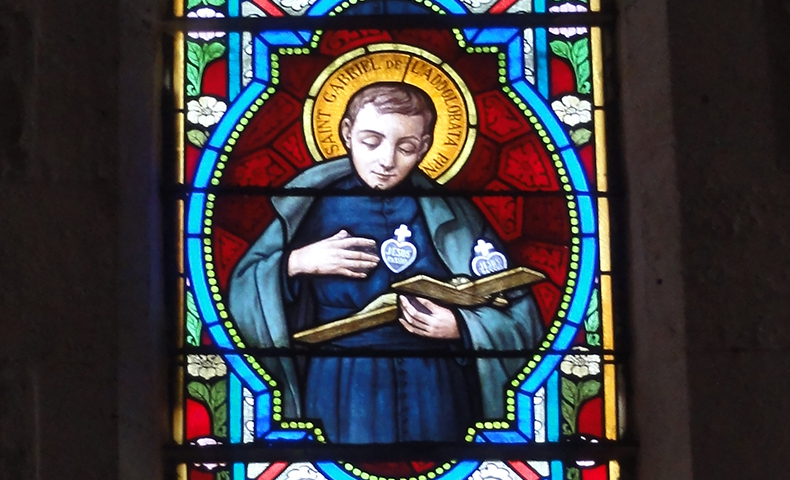 His spirit of prayer, love for the poor, consideration of the feelings of others, exact observance of the Passionist Rule as well as his bodily penances-always subject to the will of his wise superiorsâ€” made a deep impression on everyone. When we think of achieving great holiness by doing little things with love and grace, Therese of Lisieux comes first to mind. Like her, Gabriel died painfully from tuberculosis. Together they urge us to tend to the small details of daily life, to be considerate of othersâ€™ feelings every day. Our path to sanctity, like theirs, probably lies not in heroic doings but in performing small acts of kindness every day.